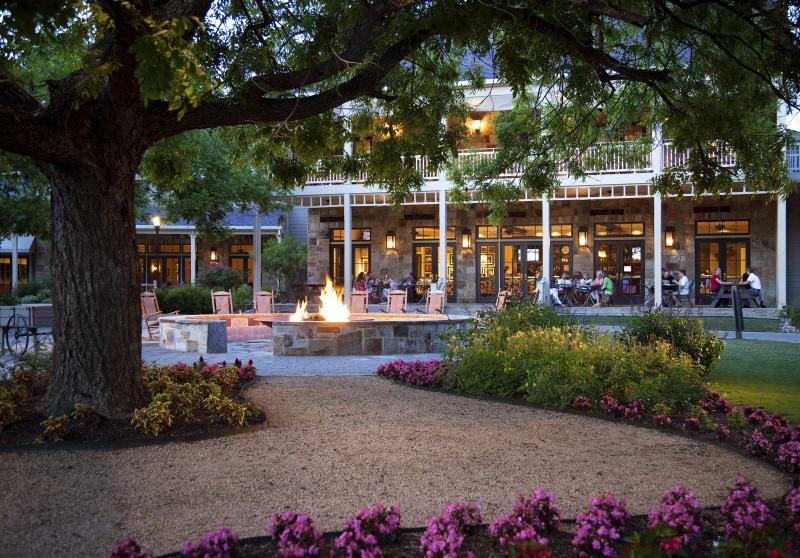 Hyatt Regency Lost Pines Resort and Spa is a memorable Texas escape just 23 miles east of Austin. This rustic resort is nestled on 405-acres of Hill Country scenery along the banks of the lower Colorado River, and offers a unique blend of experiences for travelers to curate their ideal getaway. From outdoor adventures such a horseback riding to relaxing experiences at the Spa Django or Wolfdancer Golf Club, guests of all ages will find something fun and unique. Beyond golf, spa and horseback riding, guests can enjoy exploring the adjoining 1,100-acre McKinney Roughs Nature Park; kayaking and rafting; hiking and birding along 18 miles of trails; archery and trap shooting; nightly s&apos;mores roasts at outdoor fire pits; and a lengthy lineup of recreation activities. Cool off during the summer at the Crooked River Water Park, where guests have access to an active pool that&apos;s perfect for water volleyball or getting some sun at the sandy beach. The water park also features hot tubs, an adult-only pool, a water slide and a 1,000-foot lazy river where you can enjoy your favorite cocktail while floating in one of the resort’s provided tubes. From boardrooms to ballrooms, each venue comes with a distinct personality; think grand ballrooms with butterfly chandeliers, pavilions that overlook the lower Colorado River, and outdoor spaces beneath the stars. Host your most special day at the resort, with dazzling indoor-outdoor venues, wedding packages with a host of benefits, and a backdrop of true Texas scenery. Discover nearby local attractions such as the family-friendly Dinosaur Park, Zip Lost Pines, Nland Surf Park, or take a quick ride into charming, historic town of Bastrop. Bastrop offers a number of shops in their Main Street District where you can stroll through historic buildings and dine along the river at one of the many restaurants. 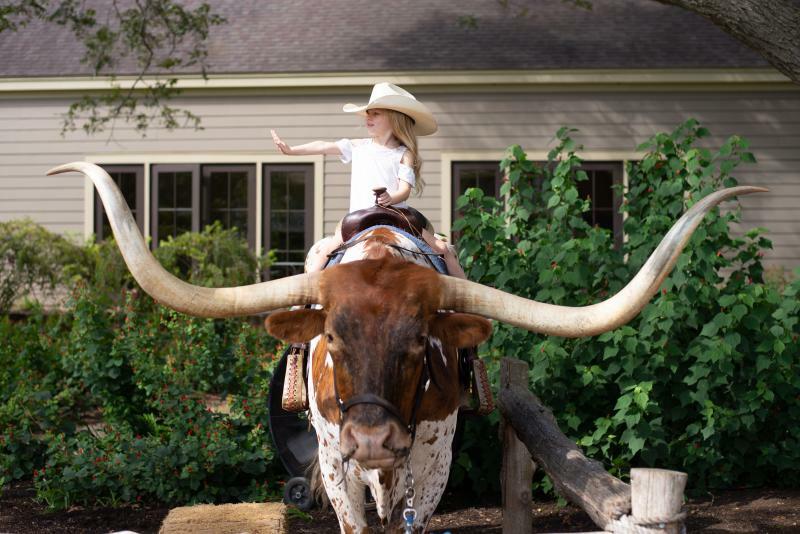 Each visitor will have a moment that is truly unique to Hyatt Regency Lost Pines – whether it is getting a picture with T-Bone and Ribeye, the resort&apos;s Texas longhorns, taking a stroll around the beautiful grounds, or roasting s’mores over a warm fire. Visit the Hyatt Regency Lost Pines Resort and Spa to find your #LostPinesMoment. Check out the website at www.lostpines.regency.hyatt.com for more information and book your upcoming getaway today. Photos courtesy of Hyatt Regency Lost Pines Resort and Spa. Contributed by Hyatt Regency Lost Pines Resort and Spa.